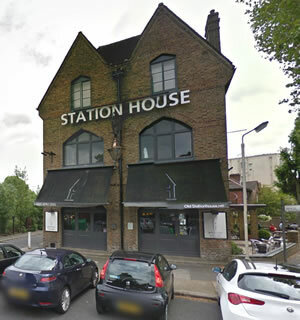 The manager of the Old Station House in Chiswick has said the media has exaggerated reports of an "attack" on I'm A Celebrity host Ant McPartlin last week. The reports claimed that the star was attacked by a group of youths when he went out to remonstrate with them for hassling him through the window of the gastro pub in Grove Park while visiting with his mother and his aunt last Thursday night. One report said he was "put in a head lock" by one of the gang who had been taking pictures and shouting at the tv star. But the manager told ChiswickW4.com today (March 26) that the incident was not as dramatic as portrayed. He said that it was not a gang of yobs but a man and a woman who started taking pictures through the window while the star was seated at a corner table in the restaurant area around 8 pm. "There was no gang. It was a couple. They were annoying Ant but instead of asking the staff to tell them to leave him alone, or move him to another table, he went outside by himself." His mother Christine, who went to help him tell them off was not pushed to the ground as had been reported, said the manager. "The bar staff heard noise and saw some pushing going on when they looked through the window. One of the staff immediately phoned the police. Then she ran outside and shouted that the police were coming. This couple ran off immediately when they heard this." The manager said he had been in his office at the time of the incident and came down to talk to the celebrity and his mother who were unhurt. "I told him I wish he had told us first that he was being annoyed instead of going outside by himself. "He stayed on for two hours after that, ordered his food and had a meal. If he had been upset he would not have stayed on. He has been into the pub since, as has Dec, and there is no problem. "This is a nice area and we've never had any trouble here. The reports have been exaggerated." 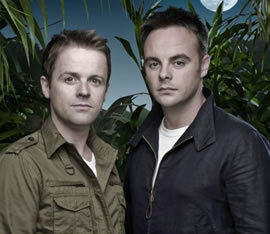 The television star took to Twitter on Monday to thank fans for good wishes and say that he and his mother were fine. He commented: "Not gonna let an idiot ruin things. All good and V happy". Police called to the scene have viewed CCTV footage. It is understood the two people involved were aged in their twenties. Ant was the subject of another unprovoked attack in the Barley Mow pub on Chiswick High Road in 2011 when he was punched in the face by Ross Hamilton whilst watching a football match.